Today we take a break from our usual discussions about price movement and so forth to revisit the initial function that bitcoin was invented to fulfill: acting as a currency. As a currency, bitcoin tends to work quite well. It is limited by its current number of transactions per second (~3, though widespread implementation of the Lightning Network could bring this number up to the hundreds of thousands), and also by its transaction fee, which at today’s average of about 40 cents to get a transaction into the next 1-2 blocks makes it a bit too expensive to pay for everyday items like a cup of coffee or a McDonald’s cheeseburger. In terms of purchasing things online, however, bitcoin tends to work great, as confirmation times and transaction fees do not weigh so heavily on its ability to act as a currency in this situation. One thing that is still required is the trust of the buyer in the seller; unlike PayPal and credit cards there is no way to perform a chargeback in the event of non-receipt of the item, or if the item is damaged or otherwise not as described. In the case of established online vendors with online businesses built around positive reputations, this usually isn’t a problem. In the case of anonymous transactions, this can prove to be a bit trickier, so quite often escrow services are used to make sure that both parties are satisfied with the outcome of the transaction before releasing funds to the vendor. Major online retailers like Overstock.com, Microsoft, Expedia and Newegg have accepted bitcoin as a method of payment for many purchases for quite some time, and others are adding themselves to the mix every day. In recent years, more and more realtors are accepting bitcoin as a method of payment; though as the nature of cryptocurrency remains highly volatile usually price offerings are listed in dollar amounts and the price in BTC (and other cryptocurrencies) fluctuates. 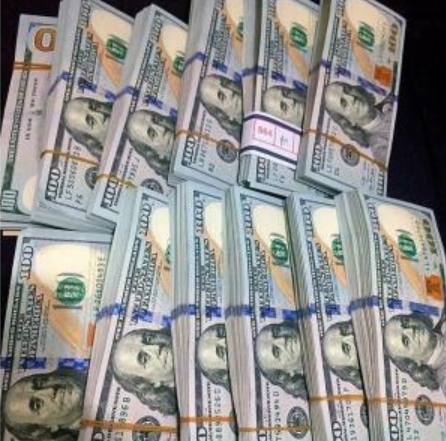 Counterfeit bills being sold on a darknet market. Even though illegal purchases are estimated to comprise only 1% of total bitcoin transactions, let’s admit it: they do make for some pretty interesting sale items. However, we don’t want to encourage the illicit behavior of our users, and it should be noted that purchasing many of the aforementioned products is flat-out illegal nearly everywhere, so we won’t go much more in depth into how to acquire said items. We also won’t talk about some of the really dark services that can be sought on the darknet markets – likely you’ve heard these stories before – if not, you can just use your imagination as to what they might be. Bitcoin Forum Marketplace – hosted on the bitcointalk.org forum founded by Satoshi Nakamoto, one of the longest running goods & services for bitcoin markets. de Louvois – “Bitcoin elite” marketplace, includes high-quality artwork, antiques & collectibles, cars, luxury watches, etc., for the high rollers and/or early adopters. Glyde – sells used smartphones, tablets, video games, and other gadgets; however users must pay using a credit card and only sellers can cash out their sales in bitcoin. CryptoThrift – this site hails itself as is “the eBay of Bitcoin,” featuring both auction and “Buy It Now” type sales, supporting payments in both BTC and LTC. OpenBazaar – no (or little) fees and no restrictions on this peer-to-peer marketplace, vendors accept 50+ different cryptocurrencies. BitBay – decentralized marketplace powered by Ethereum-based smart contracts, requires use of their native cryptocurrency, $BAY. Syscoin – up-and-coming p2p marketplace, known as the Blockmarket, that utilizes a bitcoin fork, Syscoin (SYS), though participants can also make purchases in BTC and ZEC. 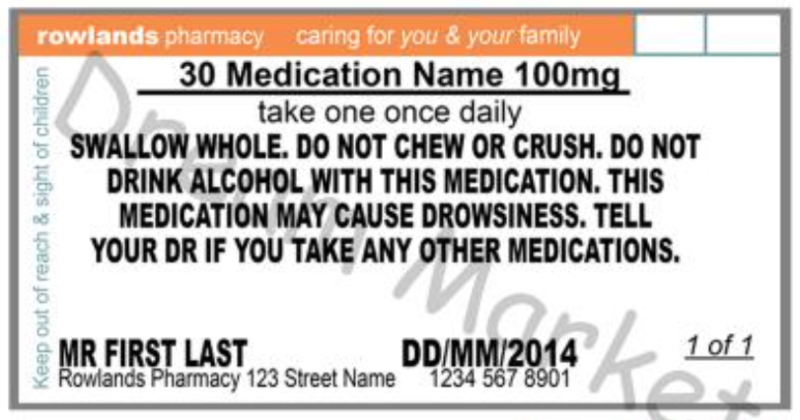 Fake prescription labels. We all know that, yes, drugs can be bought with bitcoin using the darknet. But drug prescriptions? We can’t imagine how this could possibly work, as quite often a phone call needs to be made from a pharmacy to a prescribing doctor’s office in order to verify the patient and the prescription, especially if any heavy-duty, street-priceable narcotic is being dispensed. Here is a compressed summary of how this works. You simply fill out the order form below with all the info such as your name and the pill info and then a set of labels with that info is produced and shipped to you. You will get a set of 12 prescription labels with your order, each label being dated a month apart so you will have 12 months of coverage and may choose any dates so you can back date it if you choose. Below the description is a long-winded explanation of all the precautions one must undergo if they want to successfully use these labels, as well as what to do beforehand in case you get pulled over by the police (for driving under the influence?) with the resulting prescriptions in your vehicle. The amount of successful orders placed was actually quite high, and we didn’t find any negative feedback pertaining to this item. Even still – if everything went perfectly according to plan and as described – this still sounds like a bad idea all the way around. Comment posting (thread bumping) service. Are you selling a crypto-related product or advertising an ICO, but just don’t have the time to create fake interest in it for yourself? There’s a solution for that. 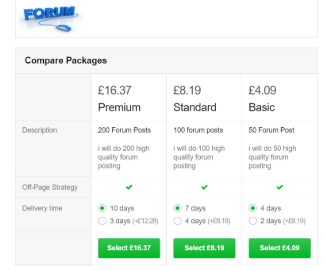 For less than $20, you can have a flurry of comments (Bitcointalk, Reddit, etc.) added to your products forum or social media page to create the illusion that people are interested in your product. On popular crypto forums these posts act as “bumps” which bring your topic or thread back up to the top of the viewing page where it can get the most eyeballs, increasing your chances of catching genuine traffic. You can even customize the time period you’d like the posts spread out, from 2 to 10 days. Similar services involve posting services for Telegram, Twitter, Facebook, YouTube and even Instagram… because the next best thing to being popular is appearing to be popular. YouTube dis-likes. Advertised as “the ultimate revenge,” this is a bizarre spin on the whole “paying for likes” concept. This can be a real stab if used properly because it can help insure that a victim’s video doesn’t get the attention it was hoping for, making it appear lower in search results or just unappealing to a potential viewer. Add DisLikes to his video, if its a guy or a girl that you hate, actor, singer, someones who posts something that you don’t like add DisLikes to his video!! At current market rates, 2,000 YouTube video dislikes was going for $220, or 11 cents per dislike. While its pretty hard to make a dent in the stats of a PewDiePie video or the Despacito music video, it could theoretically be helpful to discredit (or at least annoy) business competition, or funny as a prank to pull on the video your brother uploaded of his toddler dancing to the Baby Shark song. Free food at Burger King. Finally, you can pull off your Morgan Spurlock-esque Super Size Me documentary spin-off with minimal costs or fulfill your quest to get diabetes in a hurry with this particular service. We have no idea how this actually works but were too lazy to pay the $1.99 in BTC (or LTC, or XMR) to find out. In this “how-to” guide, hopefully they’re not just recommending some cheesy refund scam where you claim to be dissatisfied with the quality of your (mostly consumed) meal and have to keep roving from location to location. We’d really not rather have to fill out a bunch of surveys to get a free Whopper with purchase of a regular Whopper, either. Credit building service. This is a pretty sophisticated and expensive service that will actually help you build credit for a business, instead of just access and abuse somebody else’s credit. Do you have a business (LLC or INC) that has either No lines or a few lines posting to your business files. Did you know that you can obtain NO Personal Guarantee funding utilizing only your business with your EIN. You can obtain over $150K in funding products with NO PG. I will add 4 trade lines that will post to Dun Bradstreet and Experian Business File. These lines will allow you to obtain business cards in your business name. These lines will also allow you to obtain a PAYDEX Score over time with Dun & Bradstreet. We will add these lines within 5 days of your order. These lines will be approved and we will send your confirmation as soon as complete within 5 days. We have no idea if it actually works but this particular vendor did have a few orders of this service thus far. This is the type of heavy-duty manufactured credibility any “serious” business would require, when a few more Facebook likes, or post bumps just won’t do the trick. Silicone masks (human head). Whether you just want an awesome Halloween costume, want to go incognito to avoid the authorities (or loved ones), or are looking to pull some sort of sophisticated bank robbery / getaway heist, these China-manufactured silicone masks will do just the trick. The most realistic silicone masks on the market! Movie quality product like nothing else. The most comfortable, seamless and realistic eyeholes on the market even from up close. The movement is amazing. Comfort and look are at an other level. At $884 a pop they certainly aren’t cheap, but from the description it sounds like they would get the job done – so long as the job entails looking like Socrates, a hardened gangster, or a humanoid alien. Electronics destroyer. This thing is actually pretty cool, and simple. It’s a compartmentalized box to store electronic devices in that you may, for some reason or another, need to have destroyed on the fly, from any distance. Maybe Russian spies gained access to your hotel room where you are keeping the secret files you obtained from your mission, maybe you got word the feds are moving in on your compound while you are out deer hunting, or maybe your spouse is on a rampaging search for the naughty pictures from the affair that you’ve unwisely been keeping on your phone the whole time – this device destroys the electrical components of most devices by creating an acidic mixture with the push of a button. My dispositive works with water and electromagnet power. And soluble plastic bags with acid salts. At the moment it is activated, it floods the compartment in which the electronics are together with one of the soluble bags. This melts in less than a minute and releases the salts, turning the water into ferric acid. A very corrosive acid with the metallic components. There is also a model with electromagnets, which help to disintegrate the components faster. And it helps to erase hard drives. My invention can be controlled with a simple app, with a long-range remote control or with a button. Mystery boxes. Yep, that’s right. You don’t know exactly what you’ll get with a mystery box, but we do know two things: they cost bitcoin, and a lot of the time they are actually popular! If a mystery box vendor opened shop and the first two customer reviews read something like, “I paid 0.1 BTC for a box full of horse hair,” or, “I just spent 0.05 BTC on 2 packs of Wrigley’s Spearmint gum,” sales would probably drop off pretty quick afterward. That’s still 0.15 BTC that vendor managed to acquire, but its not good business, so many “mystery box” sellers have taken to including surprising things of actual value in their boxes, frequently to the delight of their purchasers. 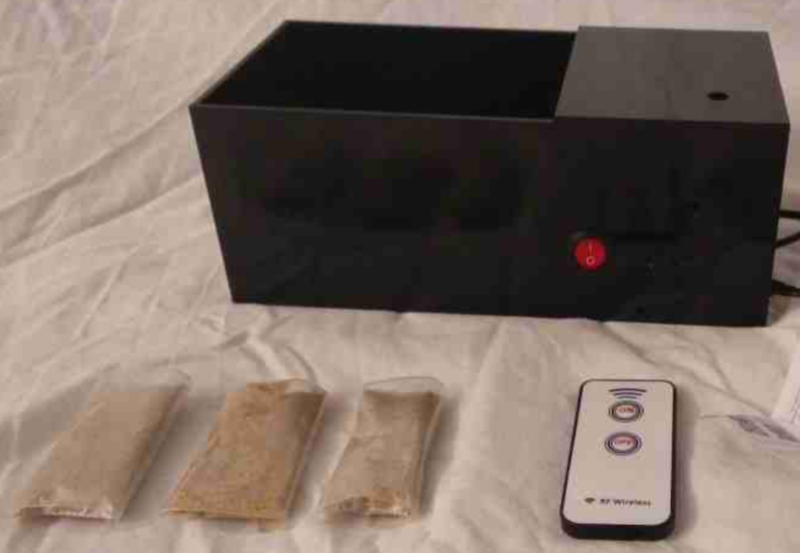 Most boxes do not contain flatly illegal items in order to save the customer chances of having to explain themselves to the post office or law enforcement, but ones purchased from the dark web can indeed contain some creepy stuff in them. These are pretty much for those who either have an unlimited crypto fund to draw from and are all-out bored by “bitcoin dice” and other gambling sites, and we can’t reasonably recommend their purchase as a sound investment. Another Mystery Box satisfied customer. There are, of course, hundreds (or thousands) of other strange items for sale to be purchased with cryptocurrency, and these are but a few of the more unique ideas we came across while scouring marketplaces and forums. 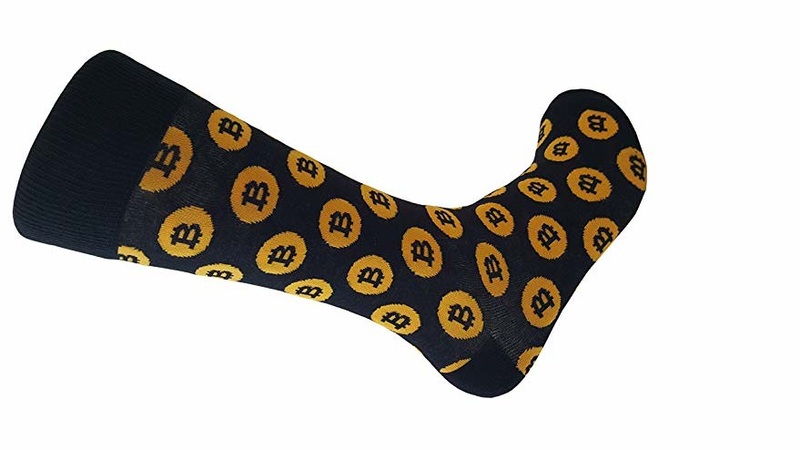 You can buy a wide variety of BTC-related memorabilia: bitcoin socks, bitcoin buttons, bitcoin wine, physical bitcoins… bitcoin artwork, posters, music, t-shirts, ties, sweaters, coffee mugs, Christmas ornaments, etc… just about anything you can possibly imagine that has room for the BTC logo on it. What fascinated us the most was how creative certain vendors were at using the digital essence of bitcoin to perform a service that might not otherwise have been deliverable previous to the invention of bitcoin. Even though the market has been in a rut for quite some time, we must never forget that bitcoin is not only a revolutionary invention that has encouraged a new breed of creative entrepreneurship but also that first and foremost it was meant to act as a currency, and if people don’t obtain it with the intention of spending it, then they are not using it for its intended purpose. Well… Nice article I guess, thanks for mentioning our website !